There's nothing better than new yarn. 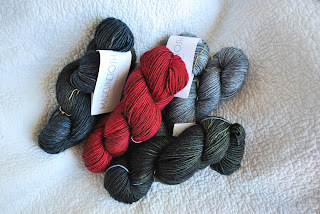 I heard there was some new yarn at a LYS and had to go check it out yesterday. 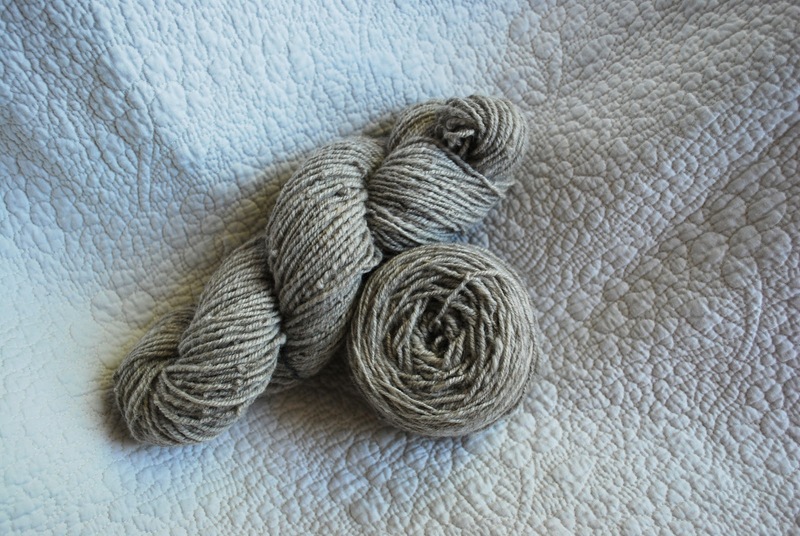 I've worked with the Madelinetosh Tosh Merino Lite before and it is heavenly. 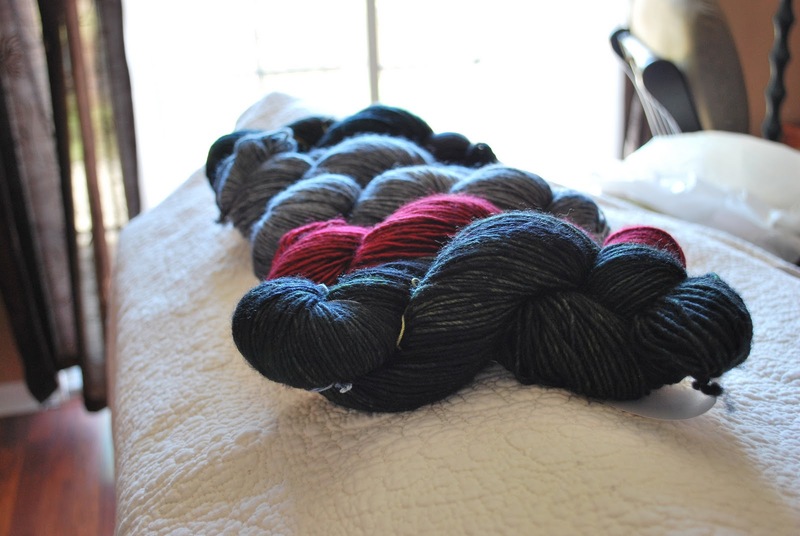 This is the DK version of the same yarn. I'm really looking forward to knitting with it. 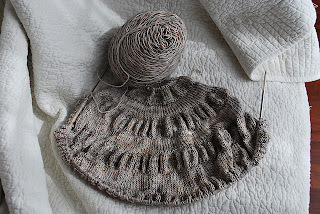 I knit a Citron out of the Lite in the Calligraphy colorway, and it's probably my favorite shawl to date. I've only got a picture of the work in progress, below. Delicious. So soft and the colors are amazing. 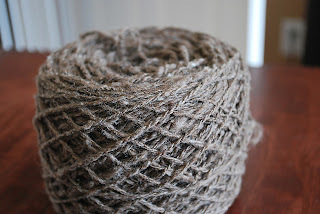 Back to the yarn. We went to the store originally to get me some yarn, maybe a sweater quantity even. Well, he takes one look at the yarn and starts grabbing skeins left and right for me to knit up for him. First, he thinks he wants a scarf. Then, he thinks he wants hats. Then, he's back to the scarf. Back and forth we go until he decides he'd rather have three hats, than one scarf. After all, I've got three scarves worth of yarn for him that I have yet to knit up. Hats are quick, he likes the colors and he gets a lot of use out of them during the winter...win/win/win. I'm happy he decided that way, because while beautiful, this yarn is a single, and I'm afraid it would likely pill from stubble on his neck. 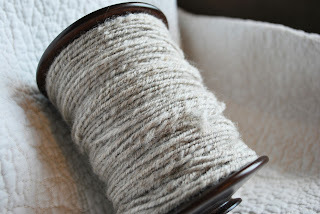 After seeing this wool, turn into singles, then plied into a beautifully rustic yarn, then knit by me into something for his future baby boy, he was hooked. Immediately, he started spinning a gorgeous braid of superwash merino, leaving the rest of the "practice" wool, unused. Fast forward to a few weeks ago. 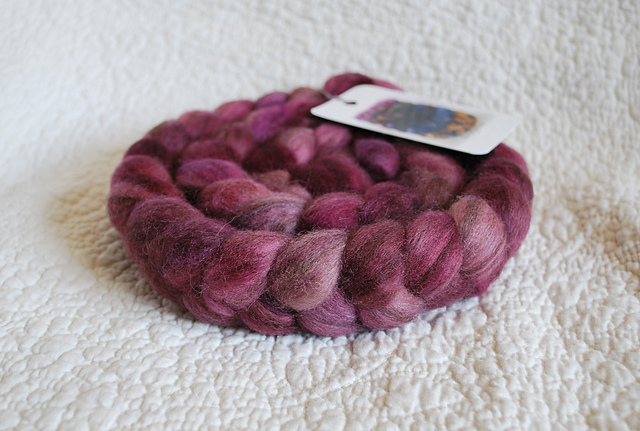 Not wanting to ruin any of the pretty roving that he has, I figured I'd try my hand at spinning with the left over practice stuff. It's scratchy, and will probably become something like a potholder, or a cover for a jar, but it's my first, and I love it. 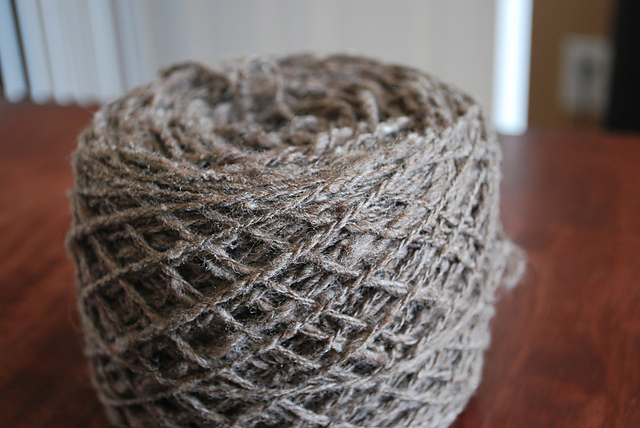 So without further ado, my very first handspun! 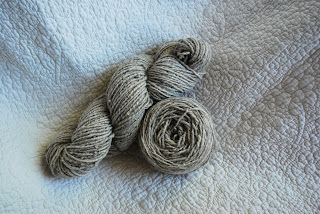 It's a 3 ply, probably bulky weight, natural gray shetland blend. 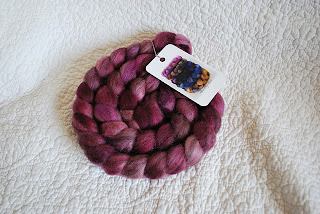 So relaxing and fun that I went and bought myself this little gem for my next handspun. 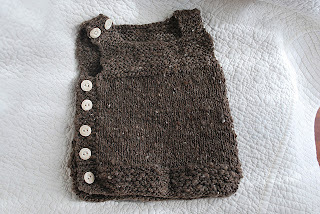 I think it' really wants to become a shawlette. What do you think? So there it is, my new stash, and my new love.